Are you traveling into Oregon for the Holidays?! CoWorking is ideal for holiday travelers and Grad students. While you are in town to see your friends and family during the holiday season, you are also away from your office. We understand as a small business owner, freelance, or professional, you may need to step away and work in an office to get projects completed. 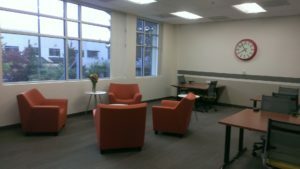 ExecuTech Suites welcomes you to use our flexible coworking area, drop in prices available for weekly use. A few of the amenities we offer include: mail and postage service, full business center with scan, print, fax and wifi, comfortable seating and professional atmosphere, plus.. free coffee! Call or email with questions, or stop in for a tour! Hours of operation: Monday-Friday 8am-5Pm.